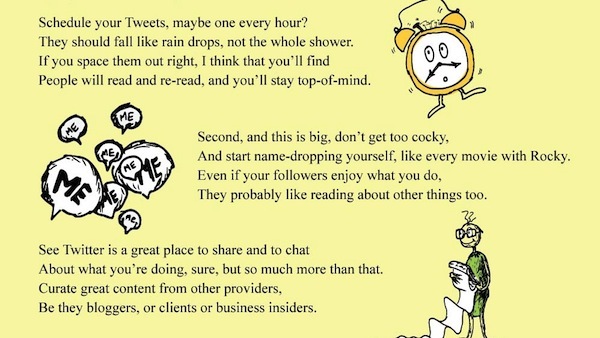 The team behind HootSuite has created a fun guide to Twitter that is written in the style of Dr Seuss. 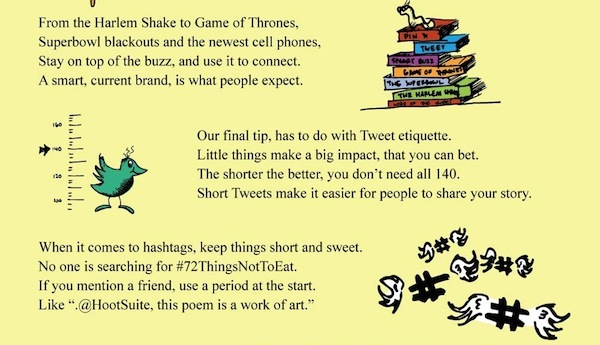 Accompanied with drawings inspired by the famous author, this illustrated poem teaches us a wide variety of strategies to gain a following on the social network. 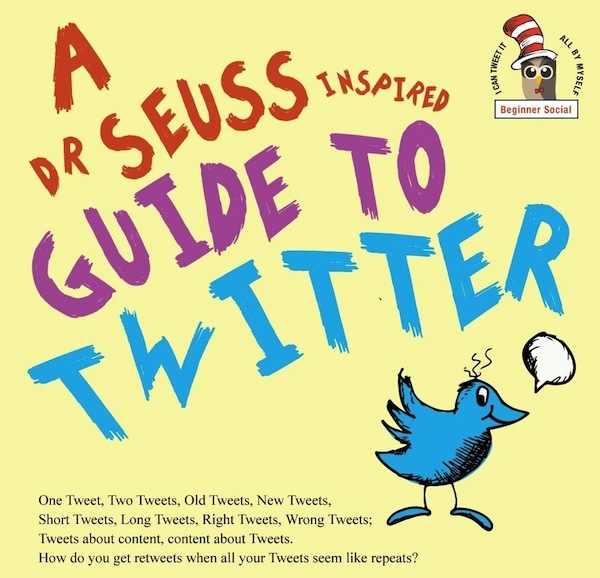 Some tips include scheduling a tweet every hour, and to avoid name dropping. Keeping up with trends helps, too. What other Twitter tips can you think of? View some of our favorite verses below, or check out the entire poem here.